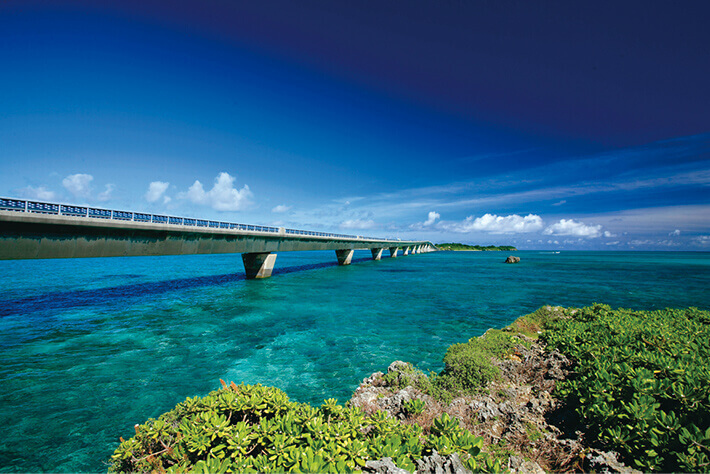 Ikema Island, located approximately 1.5km northwest of Miyako Island, can be reached by car from Miyako Island by crossing the Ikema Bridge, which is 1,425m in total length. The entire island of Ikema is designated by the national government as a wildlife refuge, and the Ikema Marshland, the largest wetland among the Miyako Islands, covers the center of the island. 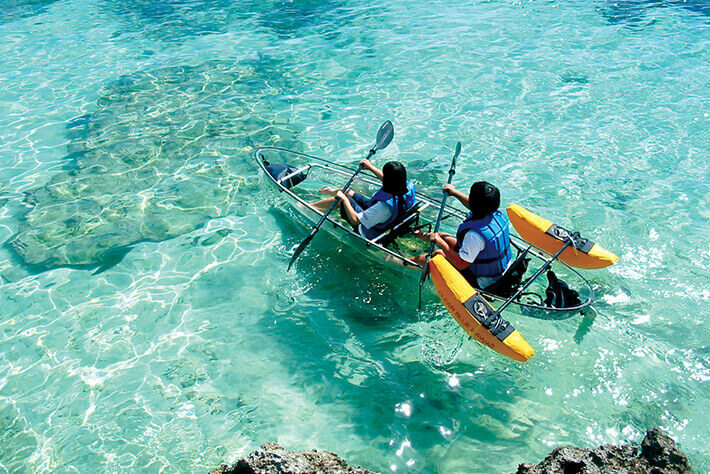 To the east lies Yabiji, the largest community of coral reef in Okinawa. The heart-shaped rock, which became famous from the novel on which a morning TV series was based, is now the most popular tourist destination on the island. Even today, the custom of the Utaki faith, honoring the gods of the island, remains well ingrained, drawing much attention to the island for the ethnology. 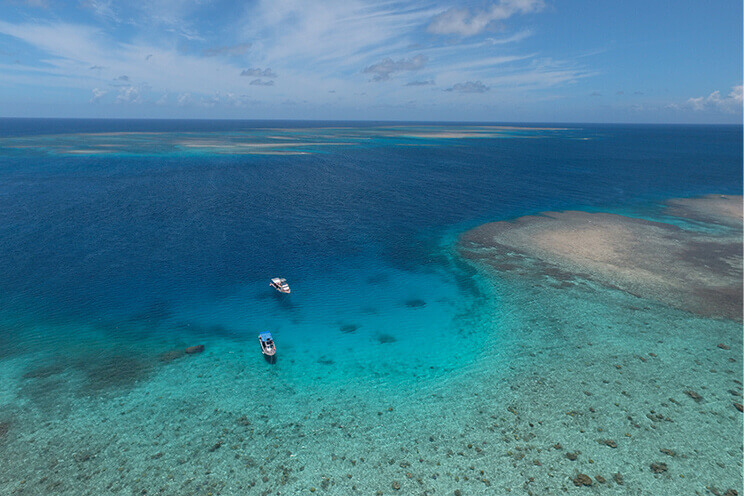 Yabiji, consisting of more than 100 large and small coral reef formations in the waters 5 to 22km northeast of Ikema Island, was designated as both a national scenic location and a natural treasure in 2013 by the national government. It is called “the phantom continent” because it reveals itself on the sea surface only on days when the difference between high tide and low tide is significant, which occurs several times a year. 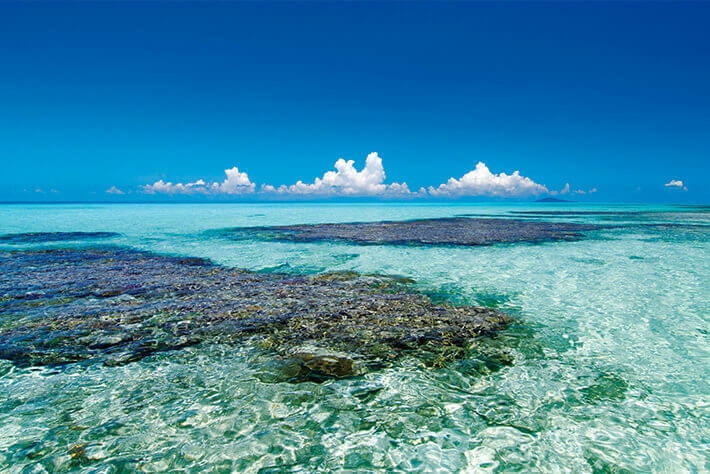 Although offshore, the water is shallow, so you can see a plethora of coral and schools of fish, which is a uncommon in coastal areas. 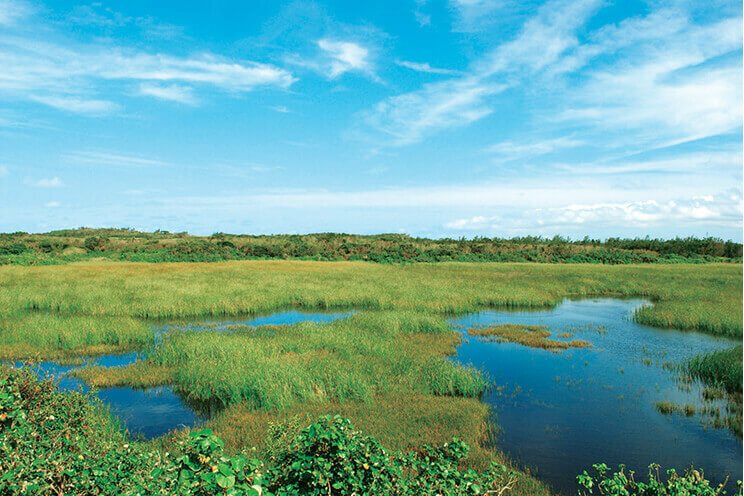 The Ikema Marshland is the largest wetland in Okinawa at roughly 38 hectares, which was once made up of two islands, each on the east and west, but was later closed off from the open sea as a result of cove reclamation and the construction of a fishing port. It is a resting place for many migratory birds, such as ducks and herons, and it is also mentioned in the 500 Important Wetlands of Japan, compiled by the Ministry of the Environment. Since many birds visit throughout the year, bird watching huts are also set up, making the location ideal for bird watching. Ikema Drive-In is located on the right after crossing over the Ikema Bridge from Miyako Island. 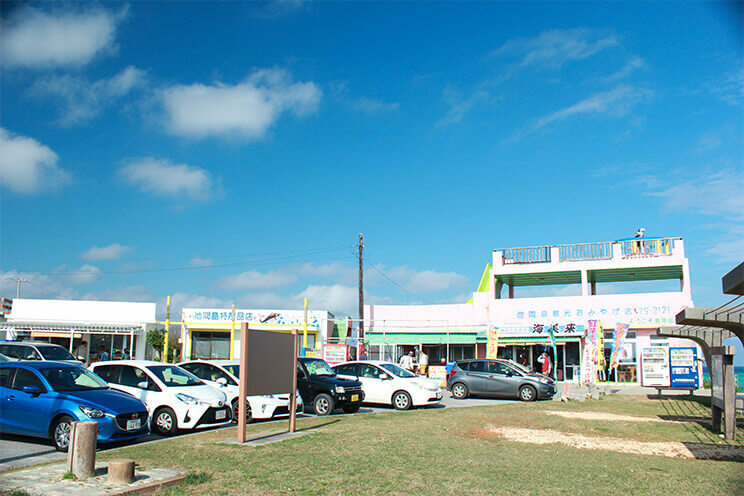 Among the several shops are outlets operated by the islanders where you will find local seafood and other products, some of which will only be available on Ikema Island, and you will also be able to engage directly with the locals. 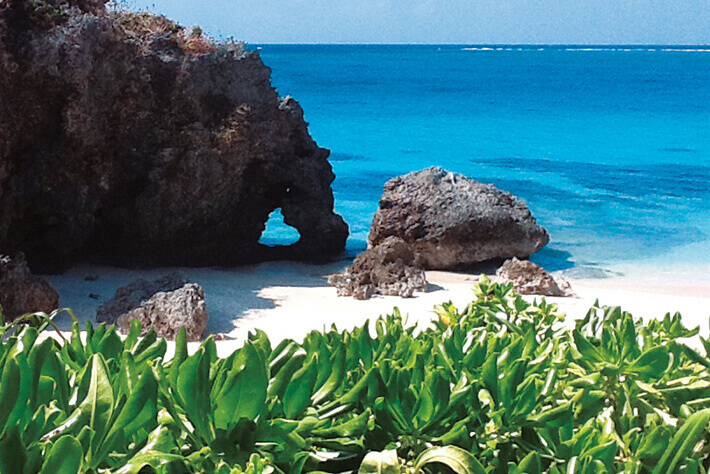 There is even a quiet secluded beach that stretches along the coast behind the line of shops. Some of the shops also provide observation decks and terraces for visitors to enjoy their meals with a view of the stunning scenery.